TOP NOTCH VACATION! This has to be the best hotel we have ever stayed in and we have traveled extensively all over the world. We stayed for 10 days for our 40th anniversary and they went out of their way to make it so special. The food is excellent in all of the restaurants. Every time we turned around they were delivering champagne to the room. On the day of our anniversary they did a special celebration and we found it all when we returned to the room. The service is impeccable! Thank you Jorge, Karen, Vanessa, Pablo, Olivia and Irene. You did an excellent job. And thank you Beth and CancunAirfare for getting us such a great deal and great service! We can't wait to return! 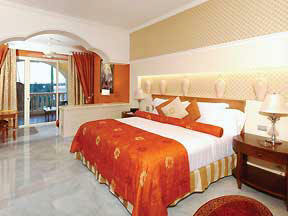 Iberostar Grand Hotel Paraiso - Iberostar's first Adult-Only, All-Suite Hotel in the new Grand Collection. Iberostar Hotels and Resorts hold the distinctive honor of being selected "Best Hotel Chain" four years in a row by Apple vacationers! 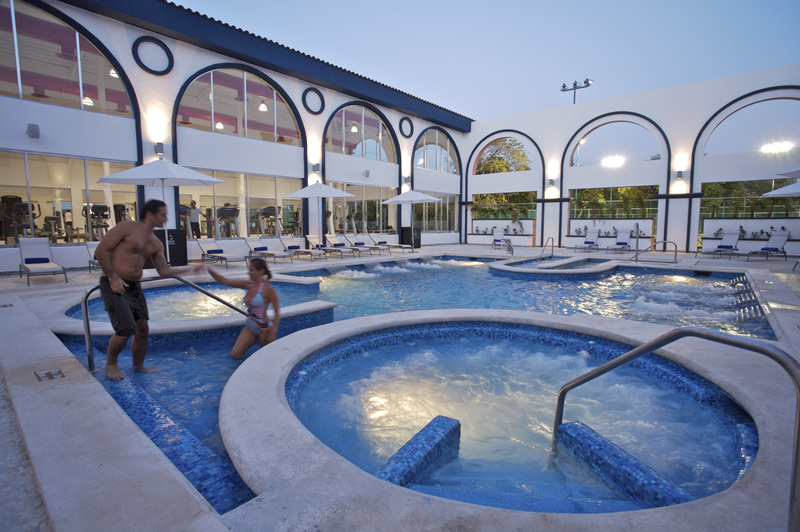 Stay at an Iberostar Grand Hotel and you'll immediately see why. 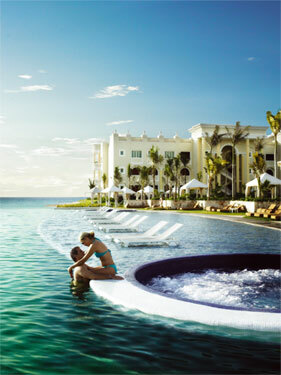 Book an Ocean Front Jr Suite & SAVE $150 PER COUPLE* / Plus FREE NON-STOP TRANSFERS - CALL NOW Luxury All-Inclusive! Iberostar Grand Hotel Paraiso - This brand new Adults Only hotel with a breathtaking Greco-Roman design will be our flagship 5-star all inclusive luxury hotel in the Riviera Maya. 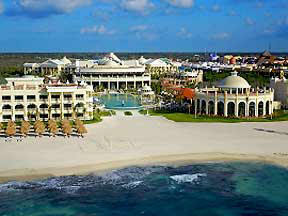 You deserve the ultimate vacation in these elegant all-inclusive blend of luxury, gourmet dining and absolute comfort! Prepare to be pampered and indulged with unparalleled service. This is Iberostar's most upscale Resort in the Mayan Riviera, unlike any you've seen. Iberostar Grand Paraiso is an all suites resort featuring 120 ocean front, 90 partial ocean view 90 standard junior suites and 12 suite style "Honeymoon Villa" with private pools. All of the Jr Suites are identical except for the view and each has private patio or balcony. Fully Stocked mini-bar with soft drinks, beer, liquor, bottled water & mineral water. The bar also includes snacks and take out mugs. Luxury bathrooms with His & Her vanity, Jacuzzi tub, separate shower, hair dryer & lighted cosmetic mirror. Phones are also included in the bathrooms. The hotel offers a main restaurant, 4 à la carte restaurants (2 with sea view), a pool restaurant, bars, shops, internet room and beauty salon. Parasols, sun loungers and towels are available to guests free of charge. 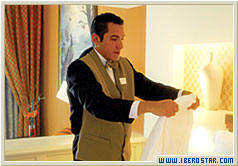 Guests are entitled to use all the facilities of the neighboring hotels. 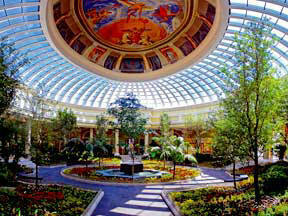 3 pools, one salt water pool with swim-up bar plus a heated indoor/outdoor pool with a retractable roof and a lake pool. 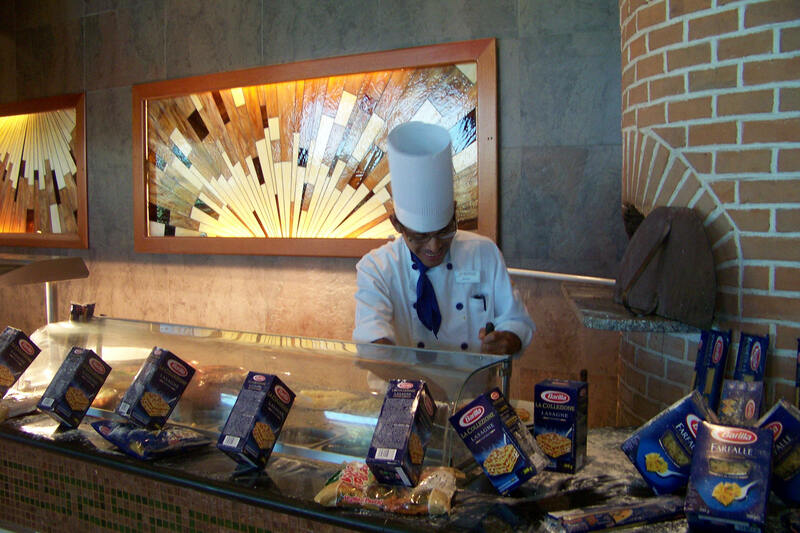 At Iberostar Hotels, the finest culinary experience is within your reach. Savor delicious breakfast & lunch buffets featuring exquisite selections of all your favorite foods and snacks throughout the day. 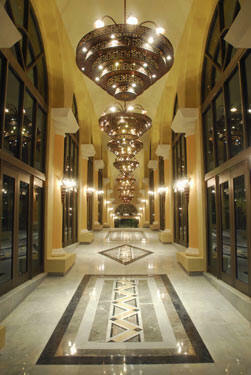 For memorable dinners, you can choose from any of our five specialty restaurants each with its own majestic ambiance. Enjoy full dining exchange privileges at over 19 restaurants and 19 bars. 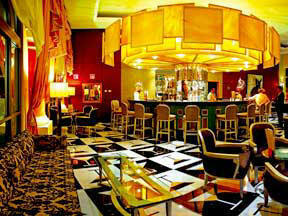 All dining is included; as are all the premium liquors, imported beer, wines and soft drinks you want. Your palate will experience a culinary feast that will satisfy it´s every craving with unparalleled splendor. 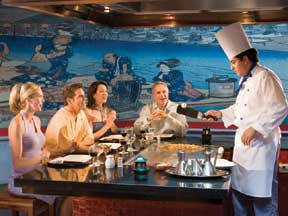 An Asian blend including tepanyaki show cooking tables & an extensive sushi menu & traditional and Asian fusion dishes. The restaurant has great ocean views. Spectacular Ocean view dining with choice Angus cuts of meat broiled to perfection at 1700 degrees and succulent local & imported seafood. Gourmet Italian at it's best. The restaurant features fresh homemade pastas, traditional meat and seafood selections as well as specially prepared Hot & Cold antipasto selections. Buffet breakfast & lunch along with a la carte items including grilled lobster, chicken fajitas, kobe beef burgers and more. Iberostar´s renonwed five-star all-inclusive service applies throughout Playa Paraiso´s entire 18 hole / 6,800 yards layout, where golfers can order on-course food and beverages. The gracious golf clubhouse stocks only the best rental equipment from Nike, Titleist and Mizuno. Both the driving range and practice green are lit up during the balmy nights so golfers can work on theirs swing in the moonlight. This might prove to be the best way to practice for your round on one of PB Dye´s toughest designs. Be aware however, one or two buckets of balls at the range may not be enough to conquer this DYEabolical design. Our guest will enjoy on free round of golf per person for stays of 4 nights or less and two free rounds of golf per person for stays of 5 nights or more. *150 Per Couple Discount based on purchase of Air & Hotel package with 6 Night Minimum Stay in Ocean View or Higher Category. Other discounts may apply for Shorter stays or lower room categories.